Fortunately, I doubt she'd be interested anyway. How did Nero work out again? I feel like it would work like that. We'd get some great public art of Rainbow Dash before Equestria collapsed though. Ohgodwhy. Such a thought is too terrifying to consider. 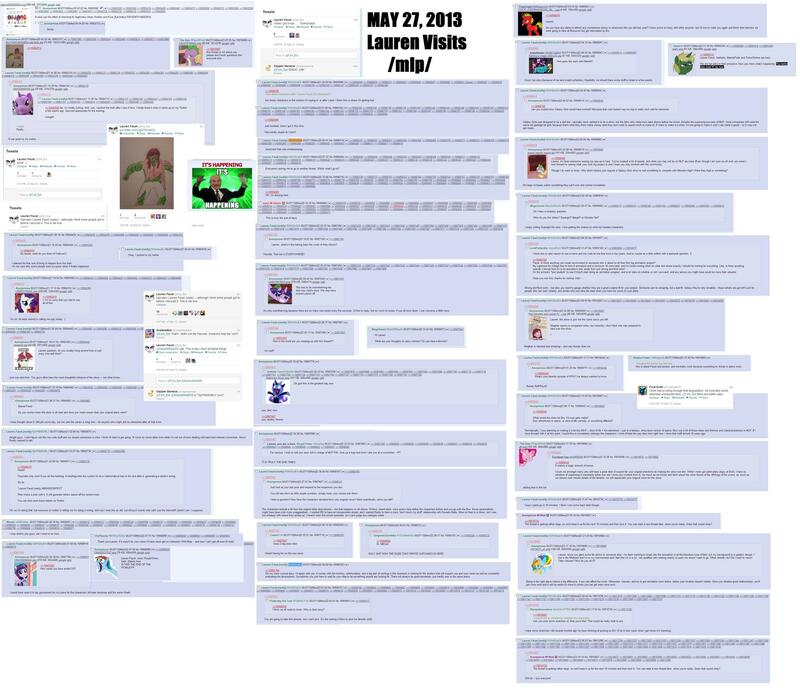 In other news, Faust just did a Q&A on 4chan… why, I'll never know. She had some interesting answers to some of the questions. Hmm. I had heard about it, but not read any of it until now. This seems interesting in that it is entirely uninteresting, if that makes any sense–nothing she said is remotely surprising, which in and of itself is kind of odd.